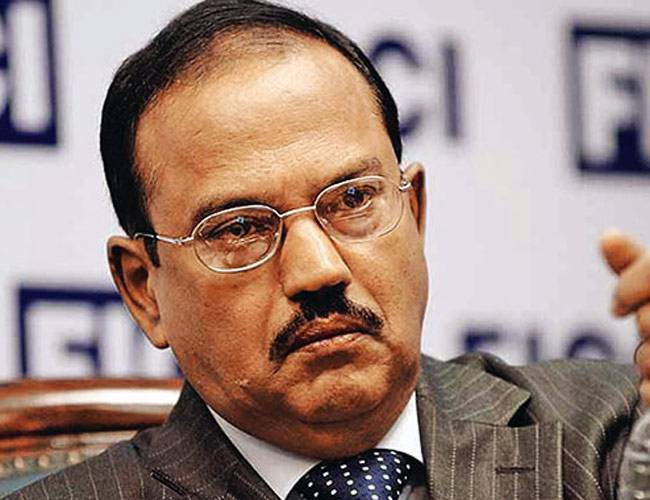 National Security Advisor Ajit Doval, besides having prepared a list of 54 Pakistan-based fugitives wanted for offences committed in India, had intended to confront Islamabad on the shoddy investigation done by the latter's agencies in the 26/11 Mumbai attacks case. 1) Ajit Doval's dossier had list of 54 Pakistan-based fugitives wanted for offences committed in India. 2) he was to have told Pakistan that all available evidence was not placed on record in the trial. 3) The dossier detailed how Pakistan did not try to extend the probe to mastermind Hafiz Saeed. 4) It also showed that Pakistan's FIA did not attempt to locate two state actors named by India. According to sources involved in preparation of the 26/11 dossier for the now-cancelled NSA-Level talks, India had meant to tell Islamabad in no uncertain terms that all available evidence was not placed on record in the trial of Pakistan. The dossier detailed how Pakistan's Federal Investigation Agency (FIA), which probed the 26/11 case, never made an effort to extend the probe to LeT founder and prime mastermind Hafiz Saeed, who, as per Abu Jundal, an accused held in India, had visited the LeT control room as top commanders there instructed Ajmal Kasab and others on how to go abou the mayhem.